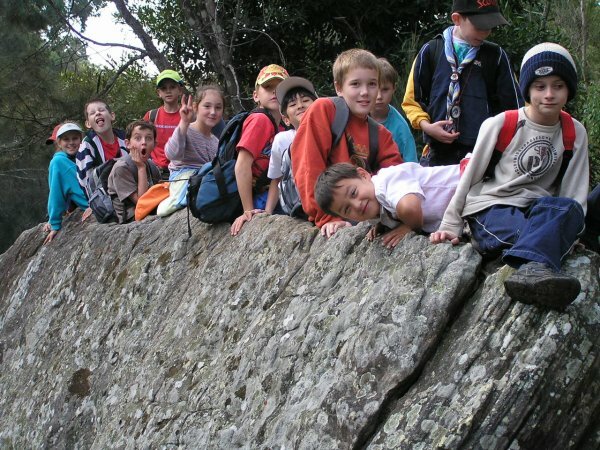 Over the last weekend, 26 Scouts and their Adult Leaders of St. Stanislaus College Scout Group, participated in the Jamboree on the Trail, an International Event that requires Scouts all over the World to hike on the second Saturday of each year. All Scouts, whatever their age and wherever they may be in the world, are invited to participate in whatever way they can. In their own way, everyone will be hiking the same direction: towards a better future through Scouting. The Scouts of St. Stanislaus College choose as their involvement in this event to hike during the night through the trails and roads in the Timehri area leading up to the Jubilee Resort. 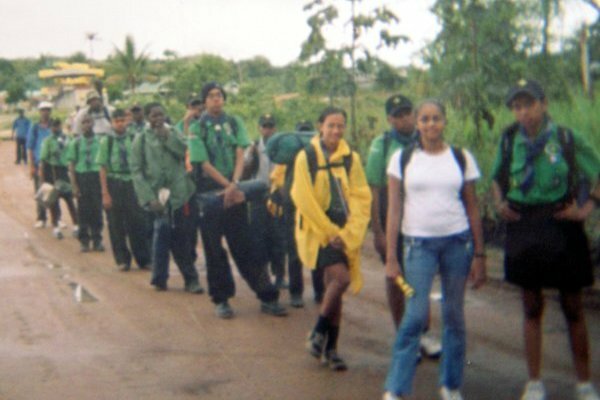 The route comprised From the CJ International Airport through a sand Trail around the South-Eastern edge of the Airport Runway to GMRSC Circuit, then along the Atkinson Airport Road to the turn off to Dakara Creek, along the loam Trail to “Camp Jubilee”, and along the Trail to Jubilee Resort. From Jubilee Resort along the loam Trail to Atkinson Airport Road and along the Atkinson-Timehri Airport Road to the CJ International Airport. The Hiking group also comprised of members of the Parents Supporting body and other Friends of the Scout Group. The Scouts and their Leaders enjoyed the facilities of the Jubilee Resort and made good use of the Water Park. 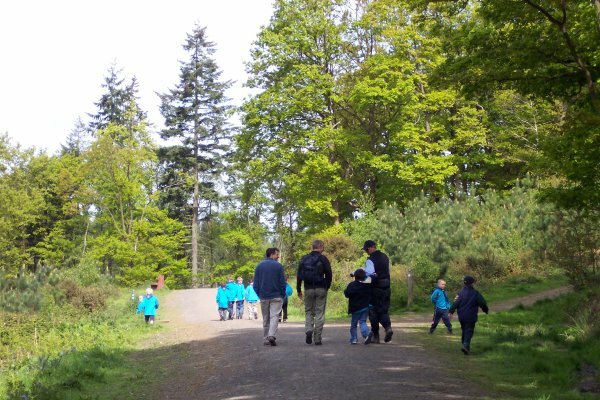 The Scouts were able to fulfil one of the requirements for the Hikers Badge. The St. Stanislaus College Scout Group continues to be one of the more active Scout Groups in the Scout Association. 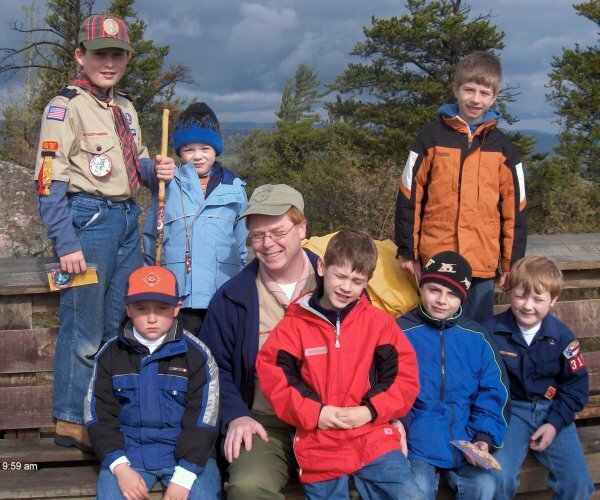 The Scout Group recently expanded with the formation of a Cub Scout section for younger ages (7-11-year-olds). Two Parents have taken up the mantle as Cub Leaders in the Group. The youth members and Leaders of the Scout Group are currently involved in a Community Service based Walk-A-Thon Fund Raising Project. Proceeds are to be used to prepare meals to feed the destitute. 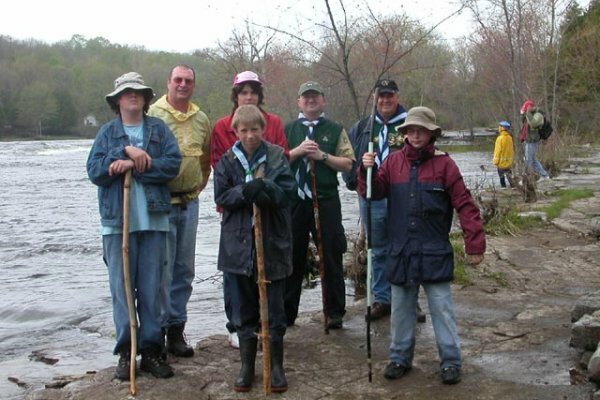 2nd Sidney Troop of Belleville, Ontario joined other Scouts from Canada and around the world to participate in Jamboree on the trail. 14 May 05 in our area dawned cool and overcast. 2nd Sidney spent the day hiking at our local Vanderwater Conservation Area. The cool day was just perfect for hiking. A short break for hot dogs at lunch and it was back to the trails. After a bit more hiking it was time to give Vanderwater back to the black flies and mosquitoes so we headed home. The 5th Worcester Beavers Scouts joined in with JOTT for the first time this year. We went for a hike around the Wyre Forest, about 10 miles north of Worcester. The 11 Beavers, 1 Cub and accompanying Leaders and helpers had a great time exploring the woods, spotting wood ants and pheasants. Several other Groups from the Worcester and Bewdley areas also took part in JOTT by walking around the forest trails. 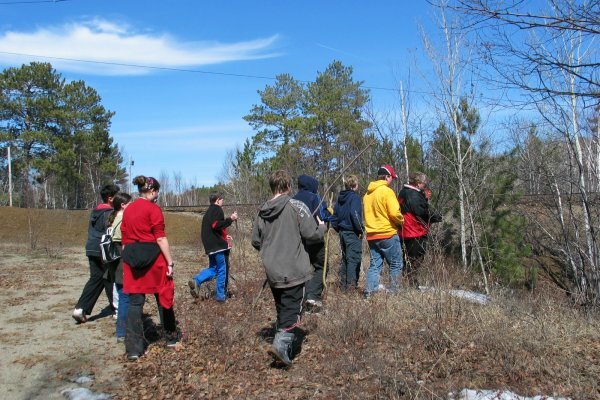 The 15th Sudbury Scouts did their JOTT hike out and around Camp Wilabosca, the Scout camp just north of Sudbury. We actually completed two hikes to Windy Lake Provincial Park: One during the day and the other at night (without flashlights!). Our goal was to see if we could find the grave stone of an unknown person believed to have helped construct the railroad many years ago. Peter Thomas, JOTT coordinator for Australia reports that there were 2661 participants from 115 groups in the country. These first two pictures are from 1st Bangor Joeys, New South Whales. The third is from Lake Tuggeranong Sea Scouts, Australian Capital Territory. The members of Cub Scout Packs 313 and 365 went on a JOTT Hike and Service Project. The Cub Scouts in Pack 313 all received their Bobcat Badge in a brief ceremony at the top of Sugarloaf Mountain near Marquette, Michigan, overlooking the south shore of Lake Superior. There is a monument at the peak of the mountain constructed by Boy Scouts to honor their Scoutmaster who died during WWI. Troop 1 of Marquette, Michigan, was said to be one of the oldest troops in the Boy Scouts of America. The Cub Scouts from both packs spent over an hour cleaning up the trash that had accumulated over the winter. I still can’t believe that we’ve been doing JOTT for 8 years already, it makes me feel old. I’m out with our Scout Troop for JOTT we are walking eleven miles, mostly on the route of a long since dismantled railway line, with our overnight gear on our backs and setting up camp on a Guide site locally. For those who are interested in were we are, take a look at the west coast of England on a map, the Wirral peninsula pokes out right where north Wales ends and just south of Liverpool and is bordered by the River Mersey on the Liverpool side and River Dee on the Welsh side. Our route will be along the Dee side of the Wirral and we’ll cover most of it’s length (the Wirral that is, not the River Dee!). The Scouts are very excited, in fact, I’ve never seen them this excited about anything (it’s an age thing, theirs not mine) and I’m sure we will have a great time. I wish you all a fun and safe JOTT wherever you may be and whatever you are doing. 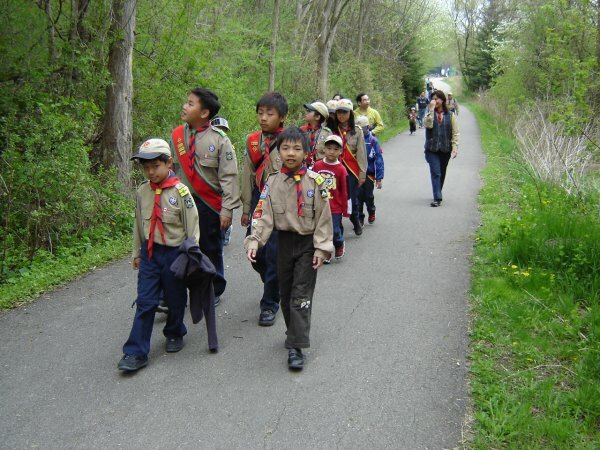 At 1st Burford in Ontario, Canada we participated by having a family hike and barbecue at one of our local parks with Beavers, Cubs, Scouts, leaders, and their families. There was also participation from a neighbouring Scout Troop who were invited to join our group. All had fun. Jason Kwok sent this photo of a hike along the Don River Trail in Toronto.